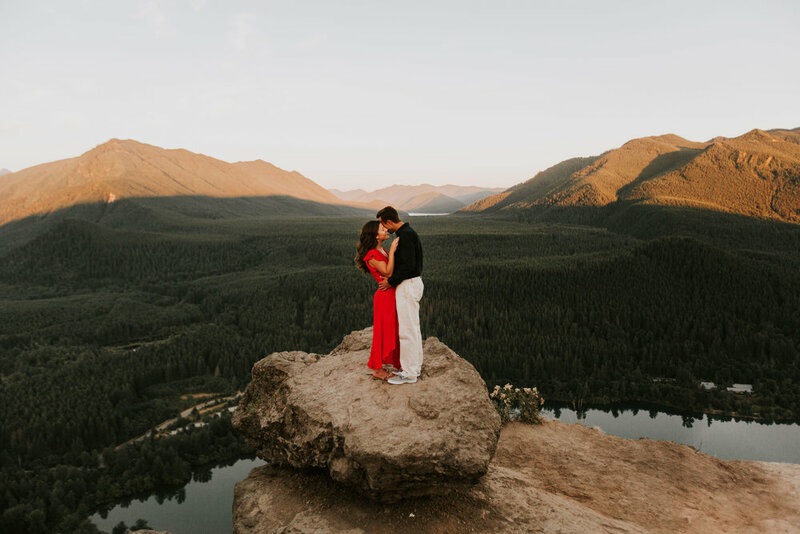 This rattlesnake ridge adventurous engagement session in Washington state pretty much blew my socks off. It’s those mountain tops & sunset’s that will do it to ya! This trip was my first time hiking rattlesnake ridge, a common trail for Seattleite’s, and I knew it was going to be great. 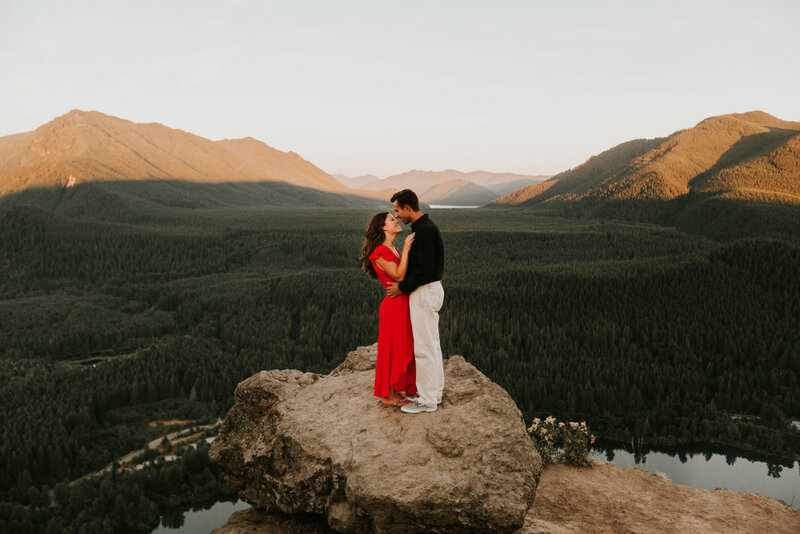 We arrived at the peak just in time for sunset, taking a few minutes to soak that in, and time to shoot these adventurous engagement photos. 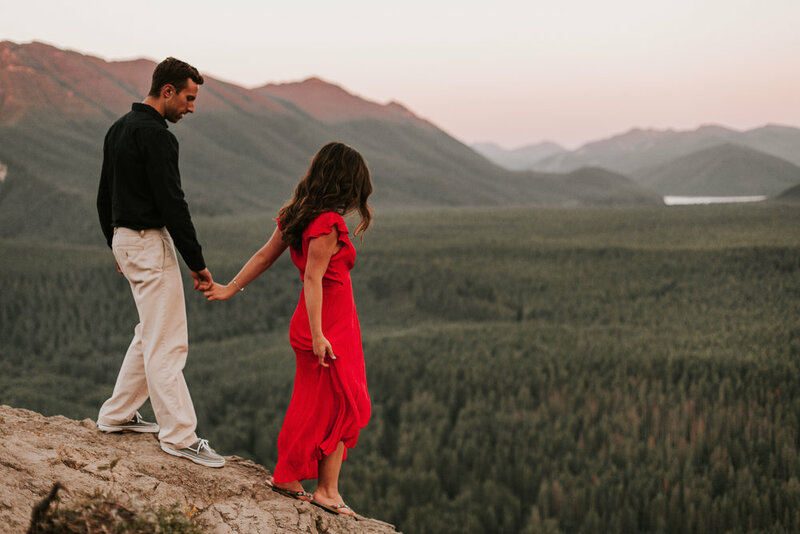 This engagement session was pretty much everything an adventurous wedding photographer could dream of. 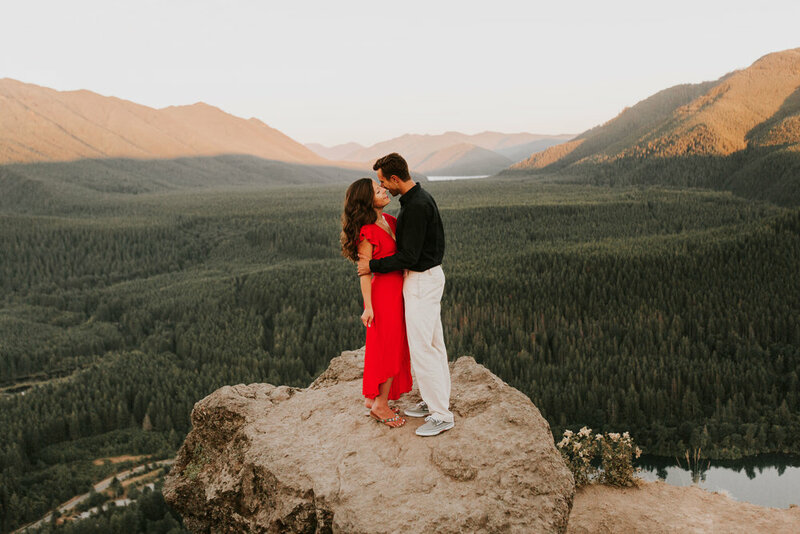 Incredible views, incredible wardrobe - THAT RED DRESS THOUGH, HOT DAMN! - and 2 humans that were just as wonderful. We had actually hiked this trail twice together, because the first time we were scheduled to shoot, just about everything that could have gone wrong did, meaning we weren’t able to shoot, but we decided to still hike the trail instead. This actually worked out perfectly because I was able to really get to know Ellie and Jason. Ellie also found this red dress in between the time of our original shoot and our rescheduled shoot, and we got a killer sunset this evening, so it all worked out for the best. 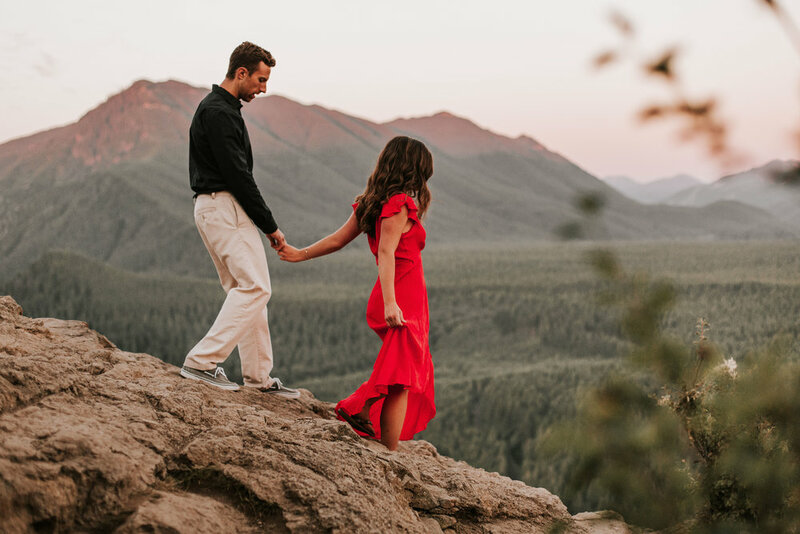 I honestly don’t know if I could ever get tired of mountain top adventure engagement photos. There’s just something way too cool about little humans with the whole world as their backdrop!